What does home mean to you? That was a very difficult question posed to me at the end of “The Buddha in the Attic” by Julie Otsuka. Julie Otsuka’s book is about immigrant Japanese women, set about a century ago, who have come to America to their husbands and new lives. Their lives away from their homes to create new ones – the magic and dream of America that once existed, is revived in this beautifully written short book. The eight almost inter-linked (because of the theme) and yet isolated (because of what each story centers on) stories are real, heartbreaking and sometimes hopeful. For me immigration has not been an alien concept. I have heard stories from my grandparents about how they had to move from Pakistan to India during Partition (though it is very different from these tales) and it does ring a bell when I read anything about leaving your country for a new one. To start anew and especially when you are expected to be the obedient Japanese wife to her husband who has not told her about the truth of his job, what she would have to undergo in a strange place and what her life would be like. These women worked from dawn to dusk, lived with men who they did not love or loved but their love was not returned. They worked in fields, as maids, as anything, as long as it was work and paid them. I had read a part of this book; the first story that is, “Come, Japanese!” in a Granta series titled, “Aliens” and was immediately taken in by it. I knew then that I would read it when it would be made available. The stories are subtle, sharp and sometimes they wrench the heart and make you want more. The basic idea of having to master a new language after say thirteen years (as young) or thirty seven (as old) of thinking and dreaming in Japanese is a task for these women. Otsuka follows these women as they enter the early days of WWII, when entire Japanese-American communities disappeared (Pearl Harbor and Hiroshima and Nagasaki being the reasons) to their relocation to desert camps. 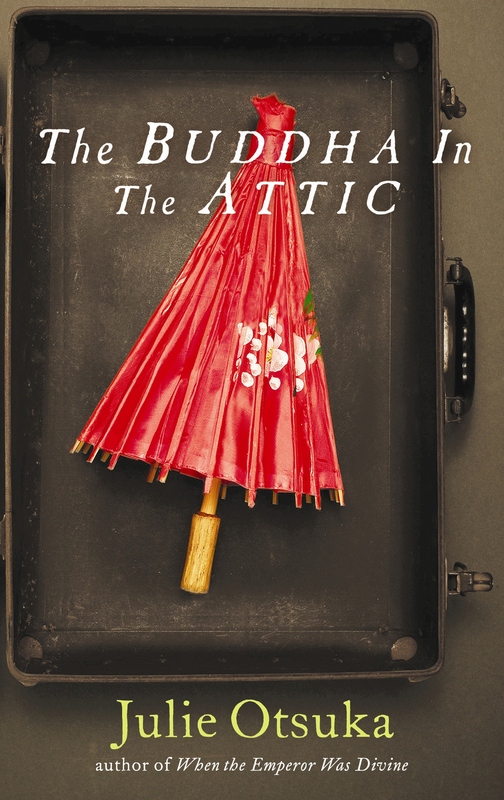 The Buddha in the Attic is about the human touch. Always about it. Julie Otsuka does not for once waver from it. The writing is beautiful and easy to read, without losing the emotion it wants to convey. At the heart of the book, there is a lot of hope and love for the women in strange ways. I cannot for one wait to read her first book, “When the Emperor was Divine”. This entry was posted in Books, Fiction, Fig Tree, Literary Fiction, Penguin Books, Review, short stories and tagged Granta, immigrants, Japanese American Women, Julie Otsuka, novella, penguin books, Penguin Fig Tree, short stories, The Buddha in the Attic, WWII on March 1, 2012 by thehungryreader. One icon that instantly comes to my mind is “Coco Chanel” and it is not because of the laurels. It is because of the life she led. So when I received a detailed biography of Chanel’s life, I jumped at it and finished it in a matter of two days. Prior to this I had seen the movie based on her life, “Coco Chanel” starring Shirley MacLaine (who by the way made a perfect Chanel in her later years) and wanted to know about the designer who ruled the fashion scene for years. 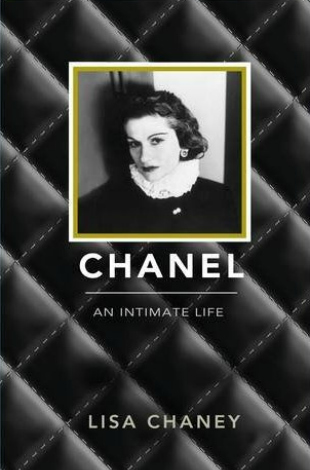 Lisa Chaney’s book, “Chanel – An Intimate Life” is the most comprehensive biography there is on Chanel’s life and I say this after the research I have done on works written on her. Chanel not only chronicles Coco’s life before she turned Coco, but also proves to be an entertaining read. The sadness and deprivation of her early years are heartbreaking – when the family did not have enough to eat and survive. Lisa then moves on from here to her emergence into fashionable society and the love affairs that defined her, to the man she loved the most and lost (Arthur ‘Boy’ Capel), to the point when she became a brand thereby changing the face of fashion to the war years as well as the loneliness of her later years to the re-emergence of Chanel in fashion. Chaney clearly has the extraordinary ability to enter into and make her readers also understand the lives of people who were closely connected to Chanel. The writing did get pedantic in parts; however I ignored it because the rest of it was beautifully written. I liked how the author described the times Chanel lived in and how difficult it was then for any “new fashion sense” to make its presence felt. The analysis of the artistic scene then (Dali, Picasso, Cocteau) had a great impact on Chanel’s work and Lisa has given us a brilliant take there in most chapters. Chaney’s book is an honest attempt to detail one of the most talked about lives in Fashion. It is a moving portrayal of a strong woman who did not let go of what she thought and believed in. Chanel makes for a great read. This entry was posted in biography, Books, Fig Tree, Non Fiction, Penguin Books, Penguin Press, Penguin UK, Review and tagged biography, Coco Chanel, family, Fashion, Fig Tree, life, Lisa Chaney, Loves, paris, penguin books, Penguin Press, World War I, world war II on January 8, 2012 by thehungryreader.